Incremental bioprocess improvements may be realized now through contiGuous bioprocessing, a next-generation approach to continuous bioprocessing enabled by MilliporeSigma’s BioContinuum™ Platform. Biomanufacturing professionals are enthusiastic about continuous processing because they believe it will have a significant impact on how their customers bring therapies to market, delivering them to patients faster and more cost effectively. GEN recently spoke to Andrew Bulpin, PhD, head of Process Solutions at MilliporeSigma, to learn more about the company’s biomanufacturing perspective. GEN: Describe the current life sciences environment. Dr. Bulpin: The biopharma industry has picked up the pace over recent years, particularly when you think about the number of different modalities and therapies on the market. Chronic diseases are prevalent, and the onus is on the industry to help develop treatments that are more effective, faster, and safer. Monoclonal antibodies have been made from the same templated manufacturing process for the past 20–30 years. 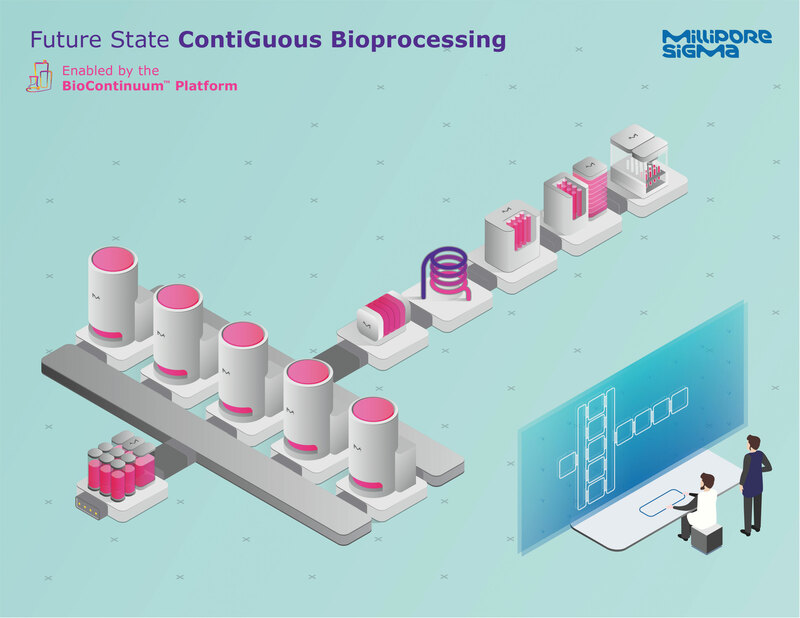 When we think about MilliporeSigma’s role in biomanufacturing’s evolution, we start with process intensification by updating and upgrading outdated unit operations, then connecting these processes to run in a continuous flow-through fashion, and ultimately reaching contiGuous manufacturing—that is, a process that is continuous, connected, and digitally enabled with all the suitable software and automation, run as an orchestrated production train. However, this is a journey and will not happen overnight. While continuous processing is the future of drug manufacturing, customers face challenges today in terms of speed to market, facility flexibility, or cost of goods. A fully connected, fully continuous process is not necessary for customers to see benefits. That’s why we’ve designed the BioContinuum Platform to feature next-generation technologies that provide incremental process benefits now, with a mind to the continuous process of the future. GEN: In general, has biomanufacturing technology kept pace with product R&D? Dr. Bulpin: In general, no. Bioprocessing is heavily regulated, and as a result, the industry is conservative and somewhat slow to adopt new technologies and novel approaches. There is a hesitation to be the first to go to the FDA with a new manufacturing approach. In many cases, the established players in the industry have a certain culture and risk tolerance. Nevertheless, it’s clear to me that the benefits of next-generation bioprocessing are there. Recently, the FDA encouraged the industry to adopt continuous processing for small molecules. Eventually, the continuous approach to manufacturing biologicals will gain more ground. But keep in mind that any delay in getting a molecule to market can cost a company millions of dollars. Using an innovative manufacturing approach could create delays. Consequently, you can understand the reluctance to be an early adopter. The benefits of continuous processing are clear. However, we can’t do it alone. 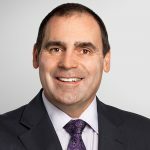 Collaborative consortiums, such as the BioPhorum Operations Group and the National Institute for Innovation in Manufacturing Biopharmaceuticals, can help advance the underlying technology and innovation and bring about more acceptance. GEN: Many bioprocess experts say that continuous processing can make biomanufacturing more efficient and economic. What justifies the assertion? Dr. Bulpin: With technology improvements in process intensification and connection of unit operations, manufacturing updates will run more efficiently and produce higher yields in less time and space, which reduces the amount of capital investment. We predict that by 2020, approximately 20% of today’s molecular pipeline will be manufactured using elements of next-generation bioprocessing or continuous manufacturing. That represents a market somewhere north of a billion dollars. Our work with customers has shown that throughput in facilities can improve as much as 75% by converting just one- or two-unit operations. We recently launched a single-pass tangential flow filtration device. It provides inline concentration and/or dilution of a feed stream and negates any holding tanks and intermediate steps in the process, allowing you to flow product right through to the next operation. With slight modifications to a couple of unit operations, companies can incorporate a more continuous approach while reducing their manufacturing footprint and scale. This is extremely valuable to those with established operations who want to run several molecules simultaneously, saving them the cost and time of changing or retrofitting an entire facility. GEN: I understand that MilliporeSigma’s BioContinuum Platform takes a toolbox approach to process intensification. Can you elaborate on that? Dr. Bulpin: As I mentioned, the BioContinuum Platform features next-generation technologies to obtain incremental process benefits now, with a mind to the continuous process of the future. The BioContinuum Buffer Delivery Platform we are launching at the Interphex event is one of those building blocks and a perfect example of the high degree of connectivity that contiGuous biomanufacturing can achieve. The BioContinuum Buffer Delivery Platform is a highly accurate and precise buffer dilution system that utilizes buffer concentrates and inline dilution, and delivers buffer directly into the system with a high degree of accuracy. This streamlines the buffer delivery step and reduces the process footprint by eliminating the massive buffer holding tanks. In upstream, we see moving out of batch mode into perfusion mode can create efficiencies. Think about perfusion bioreactors incorporating a cell retention device that can harvest supernatant and then recycle the cells back into the bioreactor. We are exploring developing CHO expression cells specifically adapted to run in perfusion mode versus batch mode with our CHOZN zinc finger nuclease technology. We launched the first perfusion media to be run in perfusion mode several years ago. GEN: Please elaborate on contiGuous bioprocessing. Dr. Bulpin: We’ve discussed how continuous manufacturing has an element of intensification, connects unit operations, and ultimately achieves a continuous flow. In contiGuous bioprocessing, the process is continuous, connected, and digitally enabled, and all of the suitable software and automation is run as an orchestrated production train. The contiGuous approach takes continuous processing to the next level by going beyond just connecting the individual unit operations. It includes the orchestration and management of all the processing steps (materials, production, testing, and analytics) with a streamlined and optimized approach. Our vision is that the entire process—materials, production, testing, and analytics—is controlled, orchestrated, and digitally managed through one manufacturing execution software system. MilliporeSigma is ideally positioned to offer contiGuous bioprocessing because we own all of the unit operations and are designing the BioContinuum Platform to achieve contiGuous bioprocessing, the seamless physical and digital integration of our BioContinuum Platform building blocks. Our extensive expertise and the breadth of our portfolio uniquely positions MilliporeSigma to physically connect the various building blocks in the most streamlined and optimized way.